The Grande in North Vancouver is becoming more Grand! The Grande is a Bosa built condo tower in Central Lonsdale in North Vancouver that has been a destination building since it was built in 1999. 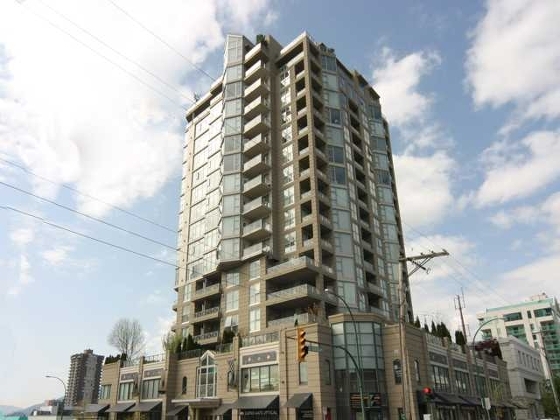 For the last 15 years it has been one of the most desirable concrete condo buildings in Central Lonsdale in North Vancouver as there have been few to choose from. This was an area waiting for re-development and in need of further options for homeowners and investors. The recent building boom has forever changed the landscape in Central Lonsdale in North Vancouver but the change is elevating interest in the Grande. New modern amenities in the area are proving to be popular and are a motivating factor for those considering a move into Central Lonsdale and the Grande. The Grande is home to a wide range of people from empty nesters/downsizers, to young professionals and families. The live-in caretaker and high class amenities are popular with prospective buyers and owners and the central location is second to none. Recent developments such as the Prescott, Vista Place and the newest development Centreview are bringing more people into the area. One of the highlights of the development is the upgrade to aging infrastructure and services such as a Whole Foods replacing an aging Safeway. Central Lonsdale in North Vancouver is being modernized and refreshed which has been a long time coming. Despite Central Lonsdale’s growth and increase in modern condos, the Grande continues to be very popular. This is evident in its low turnover and fast sales. The Centreview will block some of the corridor views to the west but overall this development is a huge boost to Central Lonsdale and the Grande. To learn more and view listings in the Grande condo building in Central Lonsdale North Vancouver please visit our dedicated “Grande” building page by clicking the following link (CLICK HERE).